Aortic stenosis causes signs of left ventricular hypertrophy and left atrial enlargement on the ECG. This ECG is from a man in his 80s who presented with syncope during exertion. He had a loud systolic murmur consistent with severe aortic stenosis. There was no chest pain. 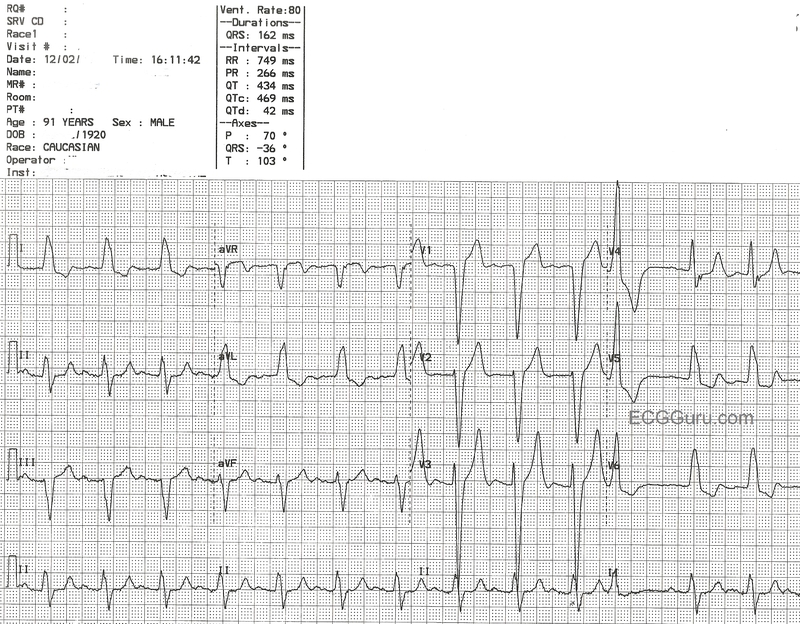 This ECG shows LBBB with only discordant ST changes and they are not excessive. The most likely cause of his symptoms was the severe aortic stenosis.